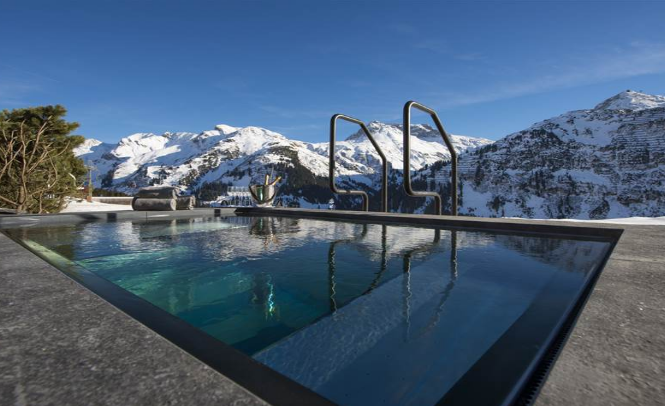 The sport of skiing captures the imagination of adventurous snow-lovers across the world, with chalets and hotels in close competition to attract valuable bookings. 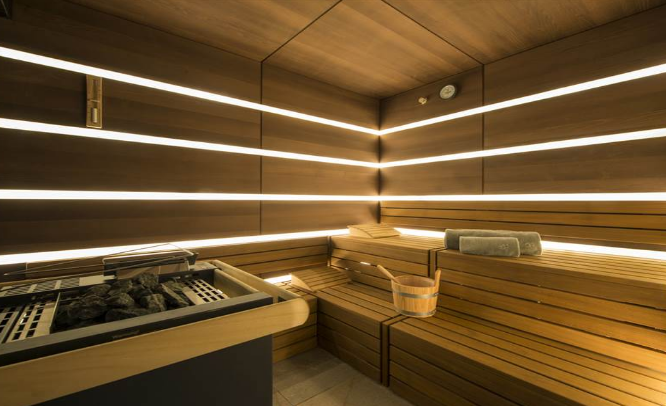 Health and wellbeing are a huge part of this, and the inclusion of relaxing wellness facilities is one way in which owners attract custom. With hot tubs bubbling under starlit skies, private cinema rooms and dedicated spa treatments, discerning skiers are spoiled for choice. Chalet Uberhaus is a highly impressive ski in/ski out chalet situated in the exclusive enclave of Oberlech in Lech, Austria. With magnificent views over the peaks and valleys, it’s widely considered the resort’s most prestigious luxury property. Designed, decorated and furnished to an exceptional standard, the chalet Uberhaus offers the ideal blend of traditional construction and sleek, modern design. 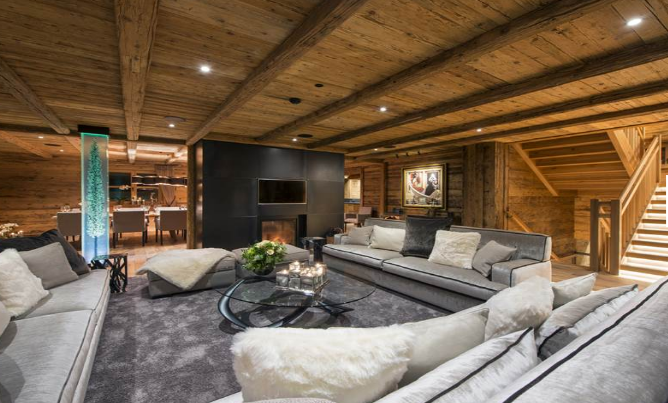 Inside this beautiful chalet, the large open-plan living and dining area is the main focal point for socialising and relaxing after a long day on the Arlberg slopes. With authentic wooden-beam construction, a huge dining table and a striking central fireplace to relax around, the chalet impresses throughout. Accommodating up to ten adults and six children, this beautiful property offers enough space for your whole party to relax in comfort and style. There are plenty of living and recreational areas, and the guest rooms include a spacious master suite, two family suites and two further double bedrooms, all of which have their own en-suite bathrooms. Chalet Uberhaus’ extensive wellness facilities include an outdoor hot tub, sauna, hammam, fitness area and massage room. For entertainment off the slopes, there’s a snooker room, private bar and a library, plus a cellar boasting fine wines to complement your evening meals. There’s also a particularly impressive state-of-the-art cinema room for guests’ use. The Uberhaus is one of many impressive chalets in our exclusive collection. If you’d like more information on this beautiful chalet, or others in our portfolio, call our helpful team today on 020 3080 0231 or reach us via our online chat service.